In lieu of Bastille Day, lets celebrate the way the French do it best, through food of course, at the popular Chez Dre in South Melbourne. With an emphasis on traditional French staples – baguettes, croque monsieur, brioche, cassoulet and of course, viennoiserie and gateaux – the cafe serves up French-inspired sweet and savoury meals that are reworked and designed around the season with local, basic flavours. From the warm and hearty veggie petit déjeuner to the light and fluffy petit gateaux, the crew are proud to serve up some of the best pastries in all the land as well as some pretty mean coffee courteously of the Mailing Room. Headed up by Andrea Reiss, a self confessed Francophile, Chez Dre is a fully fledged patisserie and boulangerie equipped with a huge open style industrial kitchen, ready to serve everything from game-bird pies and cheese filled jaffles to hazelnut dacquoise and chocolate crumble right down to the humble eclair. 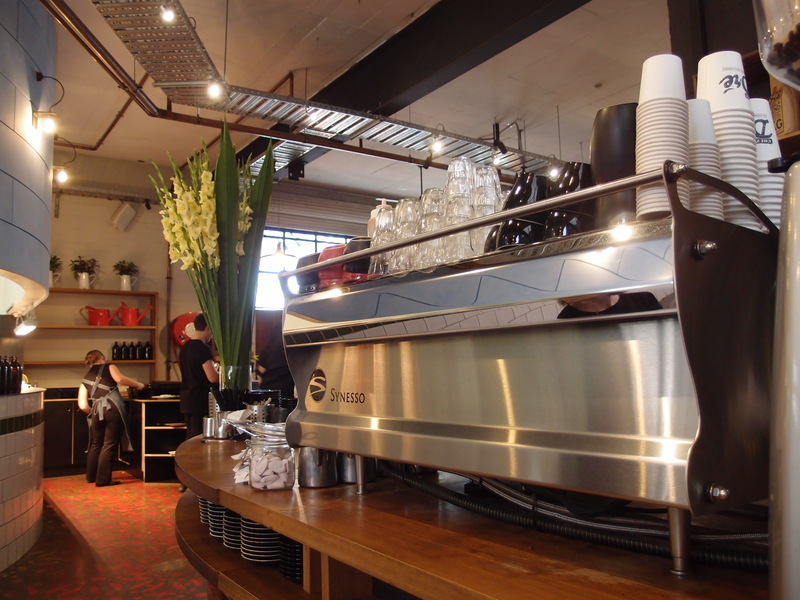 The cafe is polished, clean and sharp with sizeable indoor and outdoor areas to dine in; perfect on a hot summers day before heading to the beach right through to a cold winters afternoon to escape from the rain. The space is wide and open but avoids being an oversized food hall with the rounded lines of the kitchen entering the dinning space and the large open windows that bring fresh light in from the courtyard. 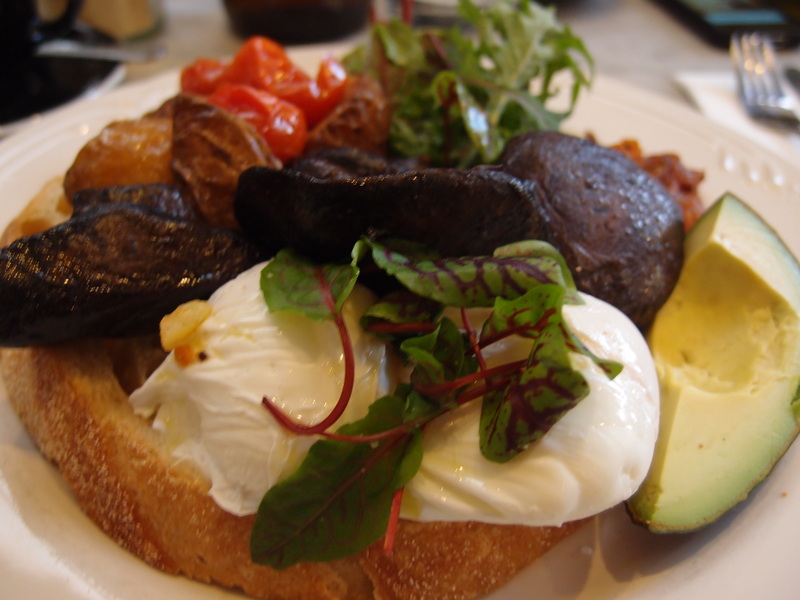 The veggie petit déjeuner – poached egg on roasted herbed potatoes and tomatoes, sautéed mushrooms, avocado and wild greens is a pile of dense garden flavours. The just-cooked egg, oozes over rich mushrooms and hearty potatoes creating a warm homily feel whilst the lightly roasted tomato and salad allows for a clean, fresh finish. 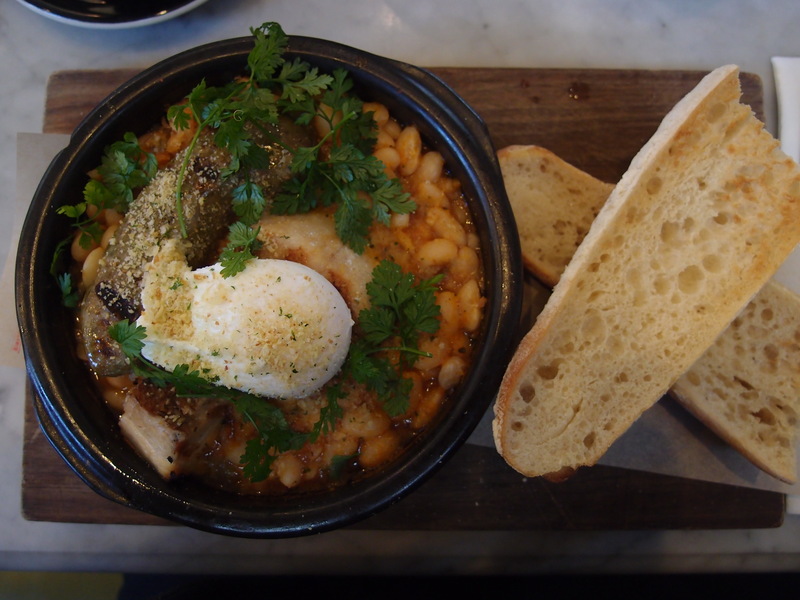 The white bean cassoulet – pork belly, smoked ham hock, toulouse sausage and poached eggs is a full-bodied French meal. The meaty overload combined with the creamy white bean is heavy and filling. The coffee is rich, full bodied and made with meticulous precession. Traditionally the French are not known for their coffee but fortunately, Chez Dre is ‘Melbourne’ enough to make the most of the beans on offer. Whether you choose to drink your coffee with milk or black, the baristas have a range of blends and single origins available to produce the most suitable taste for your palate. Finalement, the lemon hazelnut tart – lemon mousse, pate de praline, lemon creme and hazelnut dacquoise – seals the deal. If you’re a fan of praline, this may just send you over the edge. The creamy, nutty taste of the praline that dominates the dish is perfectly cut through with the bitter, citrus of the lemon creme that is light and airy. Placed together by the delicate hands of the pastry chef, the lemon mousse rests on a praline-biscuit casing that has perfect hints of dacquoise in each bite. The gateaux is the perfect sharing size, or if you’re a hungry fellow you can certainly muster up enough to finish all by yourself. Magnifique! 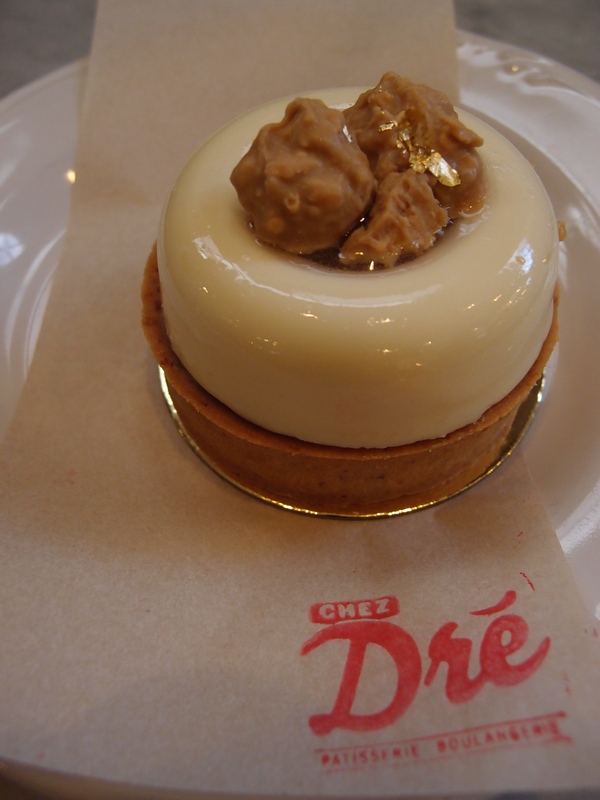 Chez Dre is at 285 Coventry Street, South Melbourne. ← Heidi Museum of Modern Art.